Just A Car Geek: 1969 Corvair Monza - You Want Low Miles? How About 15? 1969 Corvair Monza - You Want Low Miles? How About 15? "What does one do with this other than perhaps park it in a living room or museum?" That was the only text in the email my friend, Jeff, sent me with this link. It's a really good question. I am, in part, the car geek I am today because of Corvairs. My first car was an Opel Kadett. It was t-boned by a Lincoln in a Chinese restaurant parking lot. It was totaled. In the early 1970s, Opel Kadett wagons weren't worth much, so even though I got a bit of money from the other driver's insurance company, I needed to find a cheap replacement. I found one in a 1965 Corvair Monza. 110 HP, 4 speed. Red. I paid $50.00 for it. Seriously. 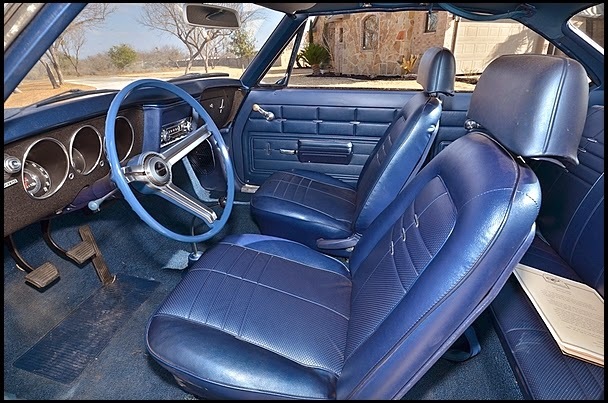 In 1973, Corvairs in general were worthless and this one leaked oil and smoked. I knew - I have no idea how I knew - the problem was the pushrod tube o-rings. I drove it like that for a week or so, figuring that I'd take it off the road for a few days and do the o-rings myself. (I wasn't sure where I was going to do this, as my dad wouldn't let me park it in the driveway because of the oil leak.) A couple of days after I bought it, I ran into a fellow Corvair driver. He told me not to buy the original replacement o-rings from Chevy. He said I should get Teflon o-rings. I asked where I could get them. He told me about a place called G&L Motor Service in Kings Park, NY. "They can get them," he said. "They can do the job, too. You don't want to do it yourself." A couple of nights later, I drove to G&L. They worked nights. The shop was located at the end a dirt road, up on a cliff overlooking a cement factory. It was a small 2 bay garage and there were Corvairs parked all around it. Some were parts cars, some were there for repair and a few were for sale. It was nirvana to me. I bought it in the spring and drove it all summer. I only put the (electric!) top up when it rained. I learned about turbo-lag (measured in days in a Corvair Corsa) and got my first speeding ticket with it. In early fall I brought it to G&L for some work. I left it overnight. When I came to pick it up I was told a doctor had stopped by the shop and was admiring it. He wanted to know if I would sell it. I said I would, but I wouldn't take a dime less than $750.00. The doctor didn't blink at the price and the deal was done. For $300.00, I replaced it with a beautiful white 1968 convertible that someone had dropped a 140 engine in. (Probably a better overall driver than the 180 HP turbo, but not nearly as fun or exotic.) I also bought a 1962 Corvair station wagon. I dropped a 140 in that, along with a Spyder instrument cluster and bucket seats from a Monza. (I used black vinyl spray paint on the back seat, so it somewhat matched the front buckets. Somewhat.) Once I got it running reliably, I sold the 1968 'vert for the $300.00 I had paid for it. I drove the station wagon for about 3 weeks. I parked it at a mall one day. When I came out it was gone. The police found it a week later in a lake. It had been set on fire and pushed in. It was not repairable. It was my last Corvair. Needing a cheap car quick, I bought a Karmann Ghia from the brother of a friend. Ralph Nader's book, Unsafe At Any Speed, was basically fiction. After the book came out, Corvair values went down the tubes. Many very usable, very nice, cars went to the junkyard when dealers refused to take them in on trade. GM never fought Nader's "facts," which would have been easy to do. Instead, they tried to go after Nader, the man. It backfired. As bad as he was with facts, Nader was a pretty squeaky clean guy. GM, quite rightly, came off looking like a bully. People don't like bullies and started looking elsewhere for thier cars. 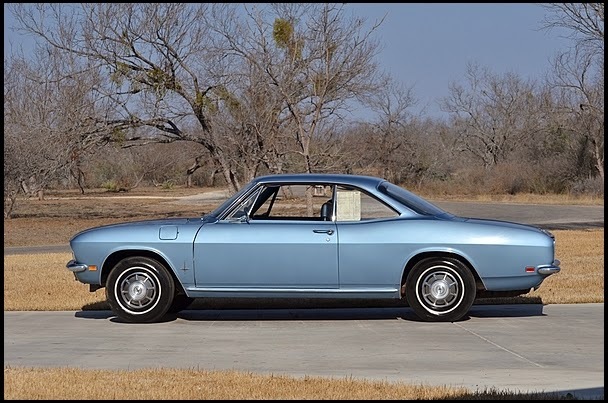 It is no coincidence that the Japanese brands started selling well shortly after the Corvair's demise. I honestly believe that the Corvair debacle was the beginning of the long slide down for American car makers. 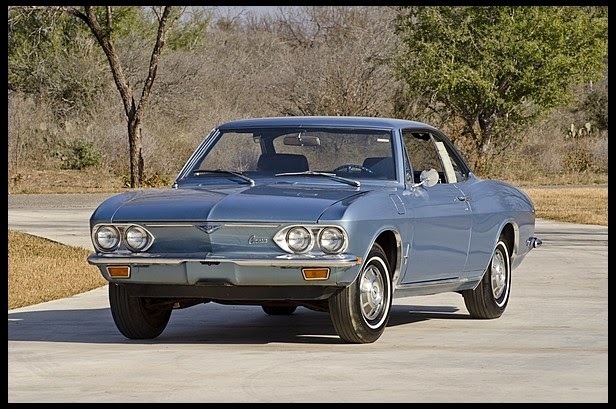 They never again came out with a small car as different as the Corvair. 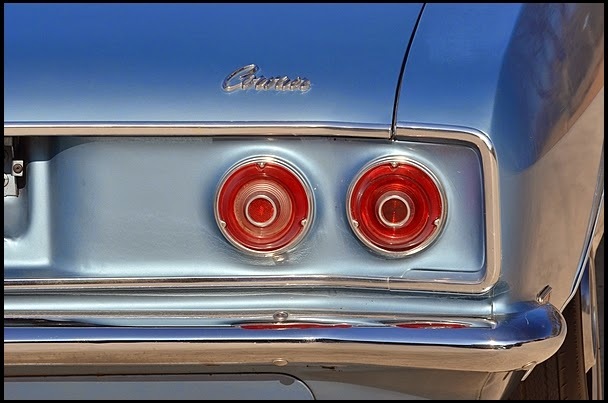 It was all Pintos, Vegas, Chevettes and Omnis. Boring, vanilla cars. OK, about this car... 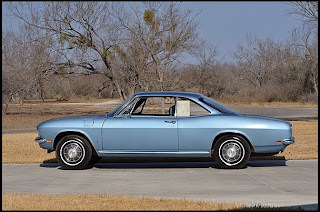 This 1969 (the last year of the Corvair) Monza has just 15 (One - Five) miles on it. It was delivered new to Dunlop Chevrolet in Macon, GA. 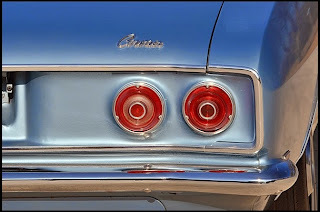 They kept in inventory as part of their collection until 1980, when it was moved to the Central Texas Museum of Automotive History in Rosanky, TX. Usually, I end a post by talking about the condition of the car, its flaws, what it might take to restore, etc., etc. What can I say about this car? It has 15 miles on it. The big question is really the one Jaff asked; what does one actually do with this car? This car is being auctioned by Mecum Auctions on April 11. You can find the information here. $500 for an old Corvair in 1973 was quite a bit of money, wasn't it? I'm paying $400 for a 2-owner 1986 Volvo 740 GLE in a few weeks. I don't think that's a lot of money for one of those. Plus, it's in great condition. I bet those were Viton O-rings G&L installed, rather than Teflon. Willy, you may be right. It was a long time ago. $50 for an 8 year old car even in 1973 was a steal...even with the oil issue. Do you remember how much G&L charged you for fixing it? Has anyone read Unsafe at Any Speed? I have not (but I really should as it is still to this day always discussed), but from my understanding the flaws in Ralph Nader's reporting was crucifying GM for the swing axle on a rear engined car but not bother reporting that VW and Porsche also did the same thing and also had 'interesting' handling characteristics. I don't remember the cost of the job. It was a long time ago. 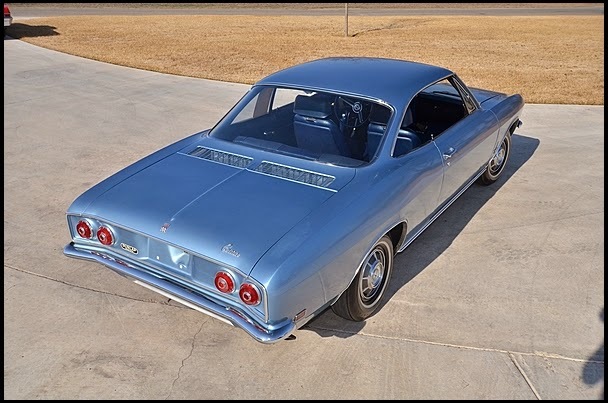 Corvairs were worthless back in the day. People were afraid of them and dealers wouldn't take them in trade. Yeah, Nadar's book ignored a lot. 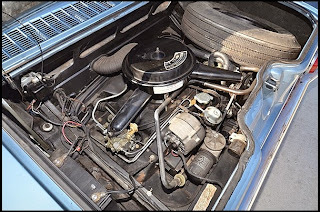 The only Corvairs with a true swing-axle set up were the 1960 - 1963 cars. 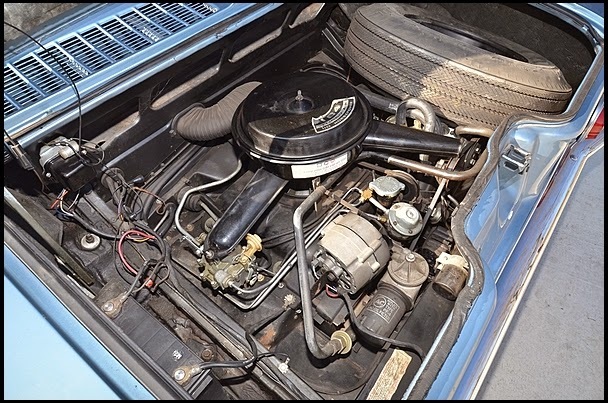 In 1964 they modified it and the 1965 - 1969 cars had an independent suspension. My cars handled very, very well. The front end got a little light at speed, but once you knew that, it was easy to deal with. It wasn't very serious. I'd love to find a 4 door with a 140 and a 4 speed. I never owned a 4 door. A 1967 4 door with a 4 speed and a 140 would be cool, but I'm not sure any were built like that! And all this time, I had no idea you were from Long Island. Very cool. Any old school Volvo Mechanics left? Mine just retired.